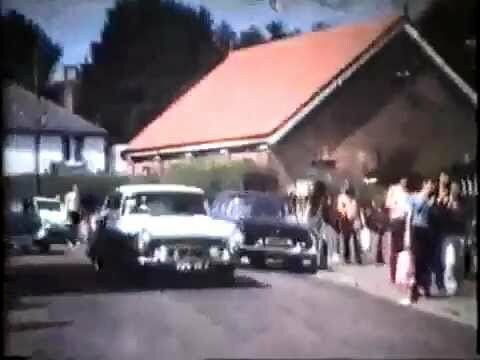 Impressions from the Isle of Wight Festival 1970 No Music 8MM Film The 1970 Isle of Wight Festival was held between 26 and 31 August 1970 at East Afton Farm an area on the western side of the Isle of Wight. It was the last of three consecutive music festivals to take place on the island between 1968 and 1970 and widely acknowledged as the largest musical event of its time, greater than the attendance of Woodstock. Although estimates vary, the Guinness Book of Records estimated 600,000, possibly 700,000 people attended. It was organised and promoted by local brothers, Ronnie, Ray and Bill Foulk. Ron Smith was site manager and Rikki Farr acted as compere. 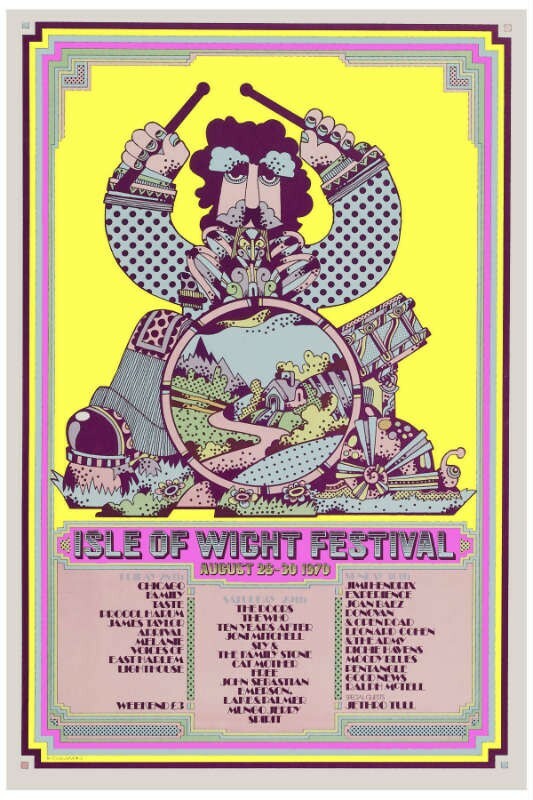 The preceding Isle of Wight Festivals, also promoted by the Foulks, had already gained a good reputation in 1968 and 1969 by featuring acts such as Jefferson Airplane, T. Rex, The Move, Pretty Things, Joe Cocker, The Who and Bob Dylan in his first performance since his 1966 motorcycle accident. The 1970 version, following Woodstock in the previous year, set out to move one step forward and enlisted Jimi Hendrix. With Hendrix confirmed, artists such as Chicago, The Doors, The Who, Miles Davis, Joan Baez, Joni Mitchell, Jethro Tull, Sly & the Family Stone, Ten Years After, Emerson, Lake & Palmer and Free willingly took up the chance to play there. The event had a magnificent but impractical site, since the prevailing wind blew the sound sideways across the venue, and the sound system had to be augmented by Pink Floyd's PA. There was a strong, but inconsistent line up, and the logistical nightmare of transporting 600,000 people onto an island with a population of less than 100,000. Political and logistical difficulties resulted in the organisers eventually realising that the festival would not make a profit and declaring it to be "a free festival", although the majority of the audience had paid for tickets in advance, and the event was filmed contemporaneously. However, at the time, the commercial failings of the festival ensured it would be the last event of its kind on the Isle of Wight for thirty-two years.